2007 AUDI A6 C6 S LINE ESTATE 3.0 TDI. MON – FRI 9AM – 6PM. DEPENDING ON THE SIZE AND WEIGHT. I reserve the right to send the parts that are not always in the picture. Will ask for proof/invoice of work done by specialist in cases of claims. Donor Car: 2006 Audi A6 C6 Avant 2000cc. The New and Used Audi Parts Specialist for all Audi models worldwide. Audi Part Number: 4E0 035 111 A. It may fit others. 6 CD in-dash/glovebox CD Changer, OEM Audi, compatible with Chorus, RNS-E/RNS-E PU, Symphony Radio's. Original Audi Part: 8E0 035 111 D. Was originaly installed in my AUDI A3 8P Sportback 2005 with chorus car radio. Part Number: CX-CA1492GC 8E0035111D. Model Series:MK3 (8H) (B7). Model: A4 T FSI S LINE. Body Style: CONVERTIBLE. Make: AUDI. Year:2002 - 2009. Donor Car: 2006 Audi A4 B7 Cab 3200cc Quattro. The New and Used Audi Parts Specialist for all Audi models worldwide. Audi Part Number: 8E0 035 111 D. It may fit others. P/N 8E0 035 111. Audi A4 B6 B7 6 CD Changer. Most Audi A4 B6 B7 2001-08, A6 C6 2004-08 parts available. Fits A4 B6 B7 2001-08. CD changer in good working order. Taken from Audi a4 b6 model. Removed from a 2005 AUDI A6 2.0 TDI 140BHP 6 SPEED 1968. FOR YEARS: 2004, 2005, 2006, 2007, 2008 (2005). We Do Not Cover Any Labour Costs Involved With Fitting Or Removal Of Any Parts. We do not cover labour Costs. Part number 8E0035111 / CX-CA1090L. The part number in the table above must be identical with the number of your part, otherwise the part will not work properly. M.Bednarczyk, K.Kruczek. SWIFT: INGBPLPW. AUDI A3 Sportback (8PA) 1.8 TFSI. - Modell/Typ A3 SPORTBACK (8PA) 1.8 TFSI. CD player Audi Symphony 2. This is in relation to the used body parts as normal. Aggregates are generally sold without mounting parts. This is a good cd player or changer for a 2002-2008 Audi A4.The part # is 8E0 035 111. Manufacturer Part Number 8E0 035 111. Compatible Format CD. AUDI A3 Sportback (8PA) 1.9 TDI. - Modell/Typ A3 SPORTBACK (8PA) 1.9 TDI. Produkttyp Radio. Aggregates are generally sold without mounting parts. Internal No. This is in relation to the used body parts as normal. 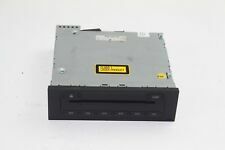 CD CHANGER 8E0035111D AUDI A4 AVANT < span class = notranslate ' > 2.0 TDI 103KW 6 m D 5 doors (2006) PARTS USED. MPN 8E0035111D. IVA e CF 01468120298. Year: 2006. Being the parts used may have slight signs of wear and tear. We will always try our best to help. SEND REQUESTS & WE WILL LIST AS BUY IT NOW. 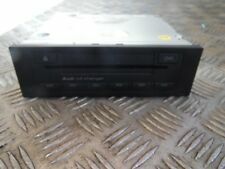 This auction is for a cd changer removed from a 2006 Audi A3 but may fit other models, part number 8E0035111D. Please check the part number is correct for your vehicle before buying. The unit is in full working order and comes with a 90 day guarantee. If you are unsure about fitment to your vehicle please send a Message / Enquiry. Donor Car: 2006 Audi A6 C6 Saloon 2000cc. The New and Used Audi Parts Specialist for all Audi models worldwide. Audi Part Number: 4E0 035 111 A. It may fit others. PART NUMBER: 8E0035111D. AUDI A3 S3 RS3 MK2 8P 2004-2012 A4 B6 B7 6 CD DISC CHANGER IN GOOD USED CONDITION. 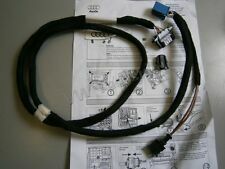 PART NUMBER AUDI - 4E0 035 111A. You are buying an exact item shown on the picture above. We can help to identify whether the part will fit your car. - IN GOOD WORKING ORDER. We aim to provide the very highest levels of service and reliability.